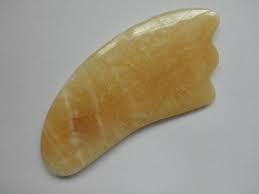 Gua Sha massage is a natural Chinese traditional treatment. The massage is performed by scraping the problematic areas on the skin with a scrubber made of metal, bone, horn, stone or semiprecious stone. The purpose of the therapy is to improve blood circulation and movement of Qi energy along the meridians in your body. Gua Sha massage is a great natural therapy, which can be used to treat several illnesses such as: chronic pains, muscle stress, neck and shoulder pain, frozen shoulder or hand, fever, lumbar stress, headache, migraine, stiff neck, stiff ligaments, rheumatoid arthritis, heat stroke. The therapy can be repeated after 3-6 days, but only if the previous "Sha" traces (red or blue spots on the skin) have disappeared. The massage should be done until your issues are gone. However, the healing process starts immediately, and pains start to disappear already during the massage, so in most cases 1 session is enough. For chronic pains and healing older problems you may require more than one session. The massage can be done regularly, or as a preventative measure, to help your body remove any toxins, improve blood flow, alleviate tiredness, improve Qi movement in your body and strengthen the immune system. It can be performed on all areas on your body, there is also an additional Gua Sha massage for your face, which improves blood flow in the face, and stimulates collagen production, which makes your skin smoother, more elastic and also reduces wrinkles. 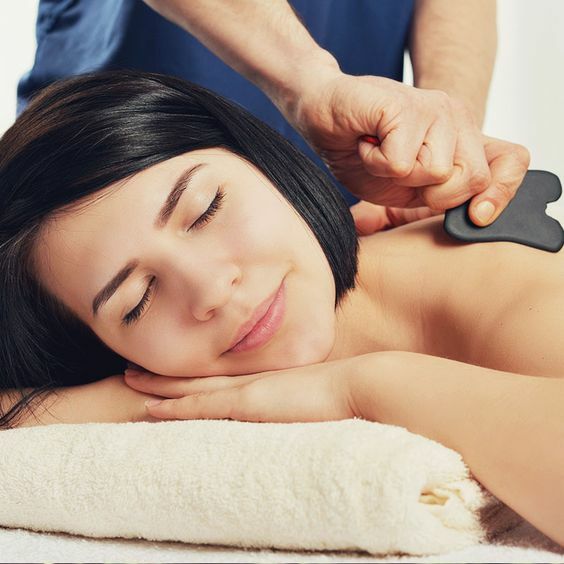 Gua Sha massages must be performed very carefully and not in the following cases: pregnancy, leukemia, malignant tumors, thrombocytopenia, allergic rashes on the skin or severe, inflammatory skin conditions, heart conditions, heart deficiency, kidney deficiency , liver cirrhosis, fluid retention (constant severe edema), alcohol consumption. You must not go straight outside to cold or windy weather, you should keep yourself away from wind drafts from air conditions and ventilation. We suggest drinking a cup of warm water or tea. It's best to drink a lightly salted water or water with sugar and rest for 15-20 minutes. 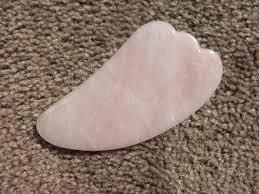 Gua sha massage for the face, neck and decollete. The therapy is done with a Jade semiprecious massage roller. 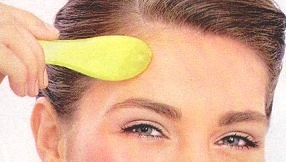 In the face and neck areas and wrinkle reducing oil is used. It helps blood supply in the skin, improves hair growth, relaxes and reduces head and neck pain and pressure. Improves the balance of Ying Yang, removes blockages, restores free movement of energy in your body and increases life energy.